A thug who was caught on camera STAMPING on his pet dog during a drunken rampage, that lasted half an hour. Somehow he has avoided jail, after telling a judge: “I love animals,” it is hard to see how he does after watching the video. 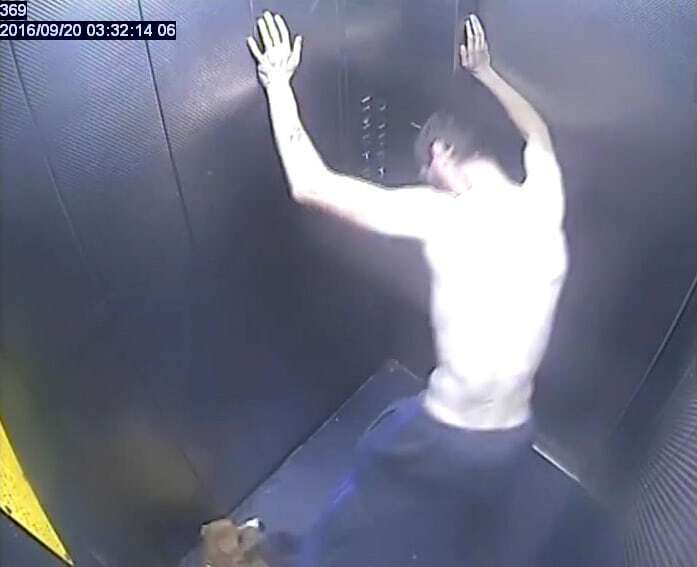 Evil Richard Cheshire, 34, was captured on CCTV kicking the poor animal, before he gives a thumbs up for the camera, as if he was proud of what he had done. He threw his pet dog – called Pablo – across the floor, stamped on his head and spat on him during the horrific attack that took place last Sept. 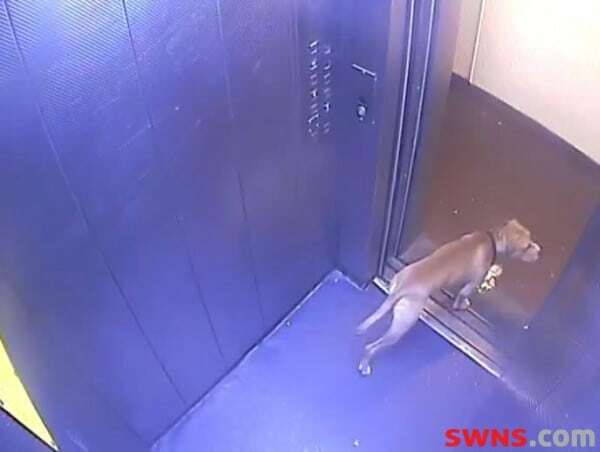 Shocking footage filmed by security cameras at the tower block where Cheshire lives in Oldbury, West Mids. Unemployed Cheshire pleaded guilty to causing unnecessary suffering to a dog when he appeared at Birmingham Magistrates Court on Monday (20/2). But he avoided jail after being handed a 12-month community order with the requirement to perform 120 hours unpaid work and ordered to pay £385 court costs. As he was spared jail he shouted to magistrates as he left court: “I want you to know, I love animals”. Miraculously, Pablo, a bull terrier cross, was not serious hurt and will be rehomed by the RSPCA. During the incident, Chester was on “a bit of a bender” and could not remember any of it.